This is a Christmas greeting card with a red background and white snowflakes. 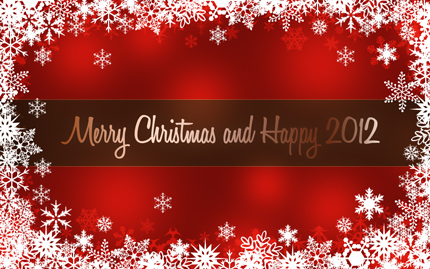 You can use this to wish a Merry Christmas and a Happy New Year 2012 to your closest friends and relatives. I have also included the PSD file in this package for editing and changing the text as you like. Thanks to coy-dreamer.com for some of the brushes used in the card.